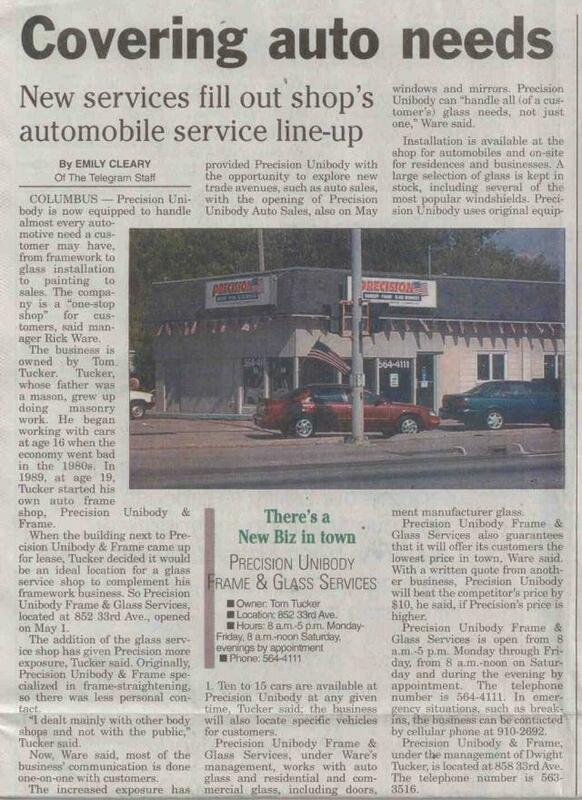 Precision Unibody & Auto Sales, Inc. services Columbus, and its surrounding communities. We are constantly expanding to serve you better. We have been in business for over 30 years, and look forward to serving you for many more years to come. Precision Unibody & Auto Sales currently has 7 employees to serve you and your RV & Automotive needs. feel free to call Tom or Rick. Thanks again for your continued support!